Our August meeting was an opportunity for an evening walk. 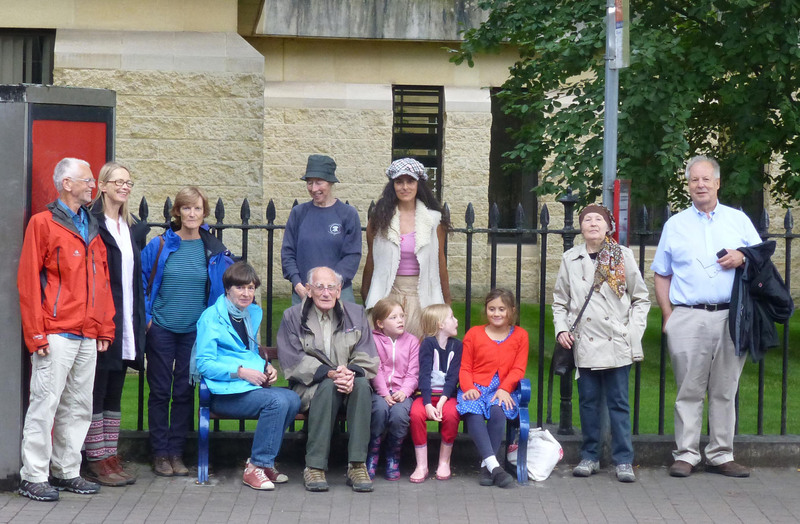 On a perfect summer evening a cheerful band of OxPA members and friends, ages ranging from 6 to over 80 years, set forth from Paul Cullen's memorial bench in Walton Street for a circular walk. From Walton Well Road we crossed Port Meadow, pausing to contemplate the giant blocks of University accommodation looming over the meadow, then followed the waterways southwards, and back to Walton Street.